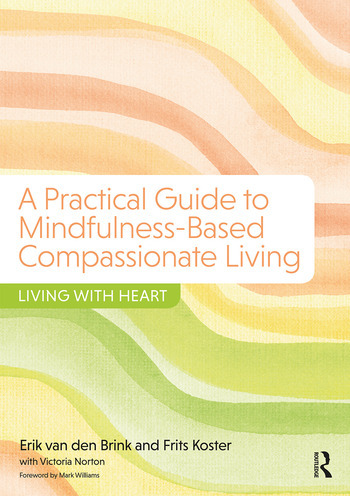 This guide consists of eight chapters that follow the eight sessions of the mindfulness-based compassionate living training programme. To enhance the learning experience, this book features accessible transcripts and downloadable audio exercises, as well as worksheets to explore experiences during exercises. It also includes suggestions for deepening practice at the end of each session. Erik van den Brink studied medicine in Amsterdam and trained to become a psychiatrist in the UK. He has extensive experience in meditation and specialised in mindfulness-based and compassion focussed approaches to mental health. Frits Koster is a vipassana meditation teacher and certified mindfulness teacher and healthcare professional. He has taught mindfulness and compassion in healthcare settings for many years. . He studied Buddhist psychology for six years as a monk in Southeast Asia. Victoria Norton is a qualified MBSR and MBCL trainer with a professional background in teaching and communications management.